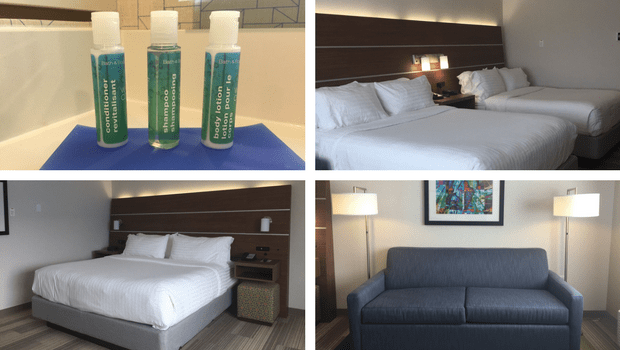 Candlewood Suites and Holiday Inn Express & Suites now open in West Edmonton + a Giveaway! 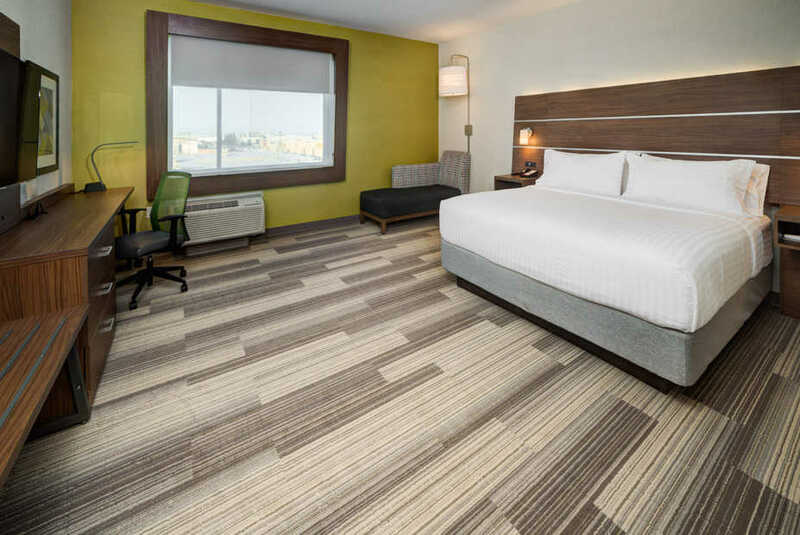 You are here: Home / Home / Candlewood Suites and Holiday Inn Express & Suites now open in West Edmonton + a Giveaway! 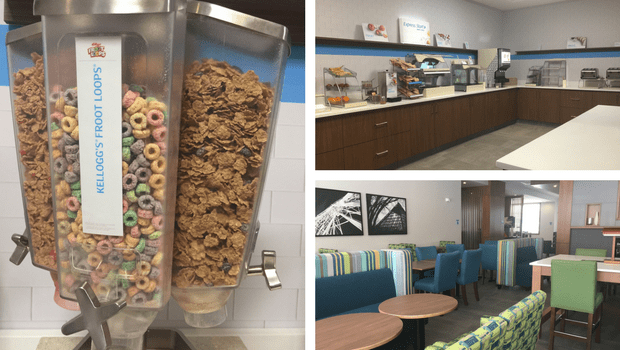 On Friday I had the chance to tour the new InterContinental Hotels Group dual-property hotels Candlewood Suites and Holiday Inn Express & Suites. The property is conveniently located right behind the West Edmonton Walmart and just a short drive from West Edmonton Mall. 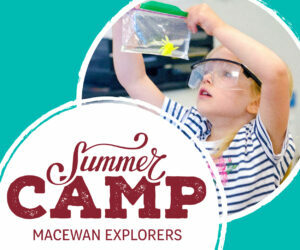 The first of its kind not only in Edmonton but in Canada this is a convenient option for families, sports teams, people on work trips, visitors to our many Edmonton festivals and more looking for a place to stay overnight or for longer term stays. With 137 rooms available there are 4 different styles of rooms to choose from with King & Double Queen bed options. Some rooms are also available with a pull-out couch making it a perfect option for our family of 5! All rooms also include standard features such as a mini-fridge, microwave, Keurig coffee maker, USB hook-ups and 48-inch flat screen TVs. As a parent with kids who like their yogurt and cheese snacks, a fridge is a must for us! A full breakfast is included with your stay and includes an assortment of eggs, omelettes, pancakes, breakfast meats, assorted cold cereals with milk, yogurt, muffins, bagels, toast, juice and coffee. 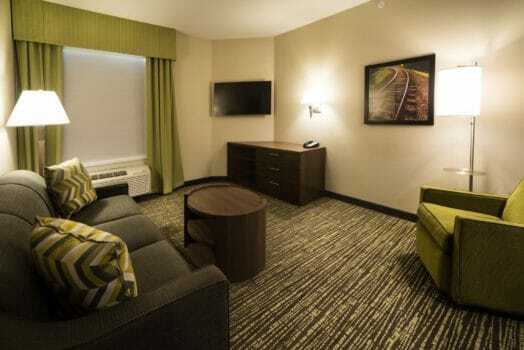 Perfect for those looking for accommodations for an extended stay or for the added conveniences of home. There are 77 rooms available which include studio suites and 1 bedroom suites with full kitchens (full sized fridge freezer, microwave, and stovetop with a timer so you don’t have to worry about leaving it on). 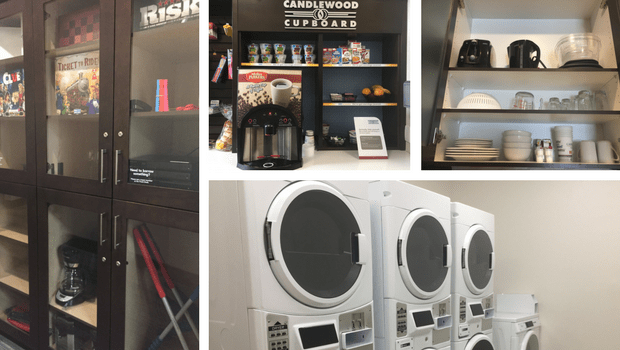 To help make you feel more at home these other amenities are included in your stay at Candlewood Suites. 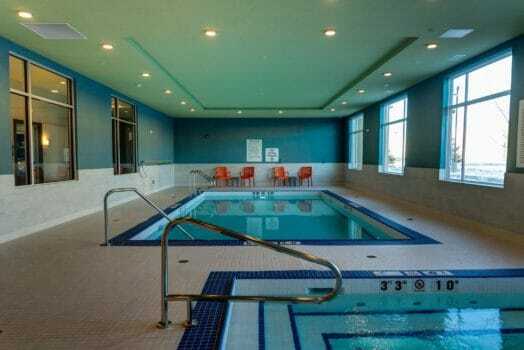 Whether you’re staying at the Candlewood Suites or the Holiday Inn Express & Suites guests have access to the indoor pool, 24-hour Health & Fitness Centre, and a coin operated arcade with foosball, tv and arcade games. To help combat the cold weather complimentary heated underground parking is also available! I love the dual-property concept so when I heard that IHG has plans for 14 dual-hotel properties to be completed between now and 2019 in British Columbia, Alberta, Saskatchewan and Manitoba I was pretty excited! As far as Alberta goes, more than 23% of IHG’s properties are right here in Alberta! To see all the accommodations that IHG has to offer in Alberta and beyond for the next time that you travel, check out ihg.com. I’ve teamed up with IHG to give you the chance to win a 2 nights stay at the Holiday Inn Express & Suites here in Edmonton. Enter via the widget below.